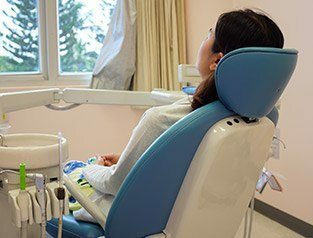 Are you putting off or avoiding a trip to the dentist because of anxiety? At Advanced Dental Treatment Center, our team offers a simple, effective solution: sedation dentistry in Greenfield. 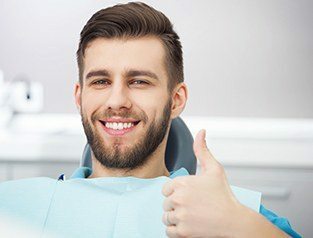 Nitrous oxide, conscious sedation, and IV sedation allow us to comfortably eliminate fear and help you have a more soothing and relaxing dental experience. And don’t forget our comfort menu, which includes blankets, neck pillows, and more for you to choose from! Keep reading to learn more about how sedation dentistry works. 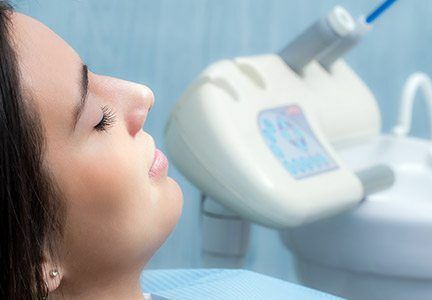 Why Choose Us for Sedation Dentistry? 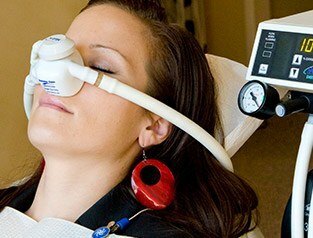 Nitrous oxide (also known as “laughing gas”) is inhaled through a small nasal mask you wear during the procedure. Its effects take over almost immediately, allowing your mind and body to fully relax -- and it might make our jokes seem a little funnier to you as well. Nitrous oxide is a mild form of sedation that is best for minor treatments like basic fillings, gum disease treatment, and others. As soon as the procedure is complete and the mask is removed, the effects of nitrous oxide wear off, allowing you to go about your day as normal. Nitrous oxide is safe for children as well as adults. Oral conscious sedation offers a deeper level of relaxation for patients who have more moderate anxiety, are undergoing complex procedures, or who wish to have a longer treatment completed in one appointment. To achieve this level of relaxation, we will prescribe a common anti-anxiety medication for you to take about an hour before your visit. Its effects will have taken over by the time you are relaxing into the dental chair. Oral conscious sedation removes you from the sights, sounds, and sensations of what is going on around you -- but you remain technically awake and able to respond to our questions. Plan for someone to drive you to and from the appointment, as the effects of the medication will make you groggy. For more significant cases of fear/anxiety or for people with real barriers to receiving dental care, we offer IV sedation. With this form of sedation, the medicine is administered directly into the bloodstream, which allows for easy adjustability to ensure you remain fully relaxed throughout the procedure. We work with a board-certified anesthesiologist for your safety with IV sedation. During the appointment, you will rest comfortably while our team helps you reclaim good oral health and wellbeing again. As you rest, you won’t even feel the passage of time — we will be done before you know it! Would you like to learn more about the benefits of care with sedation dentistry? Call Advanced Dental Treatment Center today with your questions or to reserve your next appointment with your dentist in Greenfield. We can’t wait to help you and your loved ones see how truly relaxing it can be to visit the dentist!